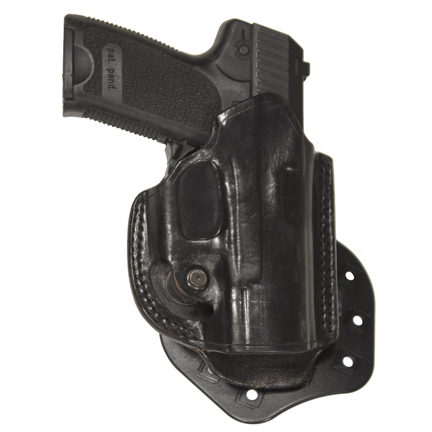 This non-firing prop pistol and leather hip holster was used by the character “Jack Bauer” portrayed by actor Kiefer Sutherland in the iconic television series “24” which ran from 2001 - 2010. 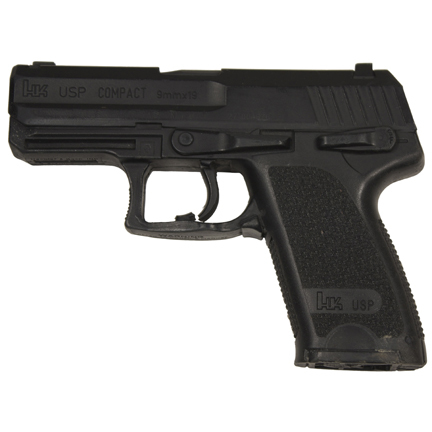 The prop weapon is modeled after a Heckler Koch USP Compact 9mmx19 pistol with Serial # 27-004676 and comes with “Aker” brand black leather and plastic hip holster. 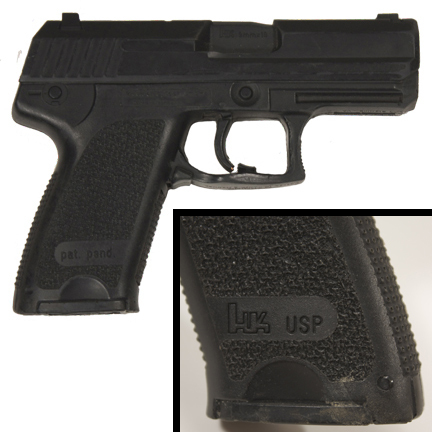 This is perhaps the most significant and recognizable piece of memorabilia used by the main character of 24. 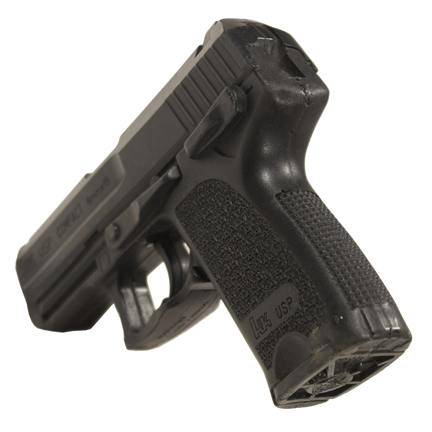 This particular gun and holster set became Jack Bauer’s signature sidearm towards the end of Season Two, and due to the show’s unique “real time” format, Mr. Sutherland used this specific weapon and holster combination repeatedly on screen throughout seasons 2 – 8. Apart from their onscreen use, Mr. Sutherland is featured holding the pistol and holster combination in numerous studio promotional posters, box set DVD covers, and other print and digital collateral. Specific examples include the Season 5 poster and cover of the box set, the Season 7 box set cover, the Season 8 poster, and others. 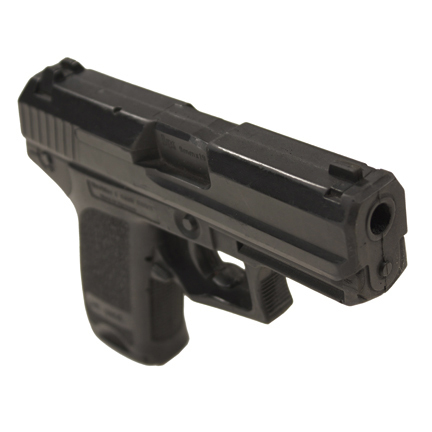 The prop HK’s utilized by Mr. Sutherland were molded out of three types of materials: soft rubber, dense rubber, and hard rubber for durability. Most of these props were damaged or destroyed over the course of production, making this hard rubber gun extremely rare. 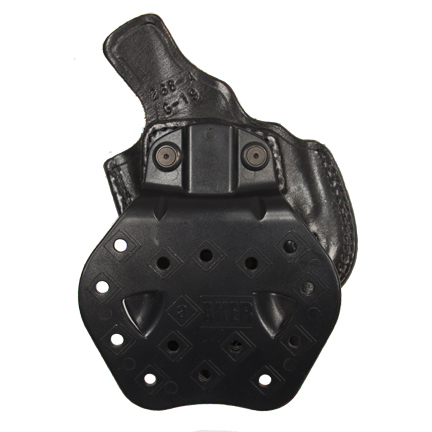 Both the gun and holster have evidence of wear from their extensive use on the series and are in good screen used condition. The trigger has broken away from the trigger guard, but is still sturdily attached to the barrel of the gun. 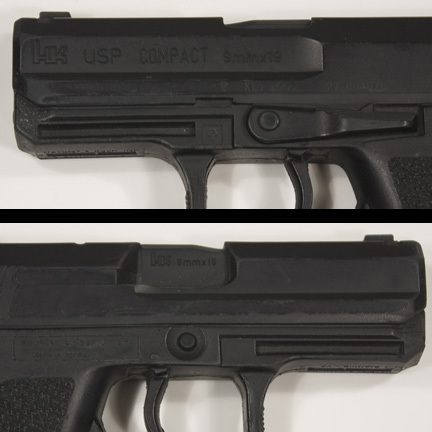 There are traces of dirt on the grip of the pistol as a result of its use in an action sequence in one of the later episodes. Accompanied by a letter of authenticity. 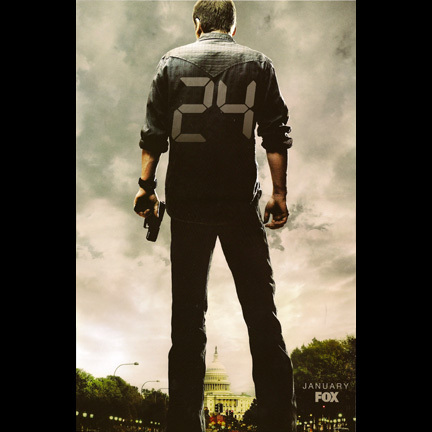 24 received numerous awards and nominations from prestigious entertainment industry organizations over the course of its eight season run. 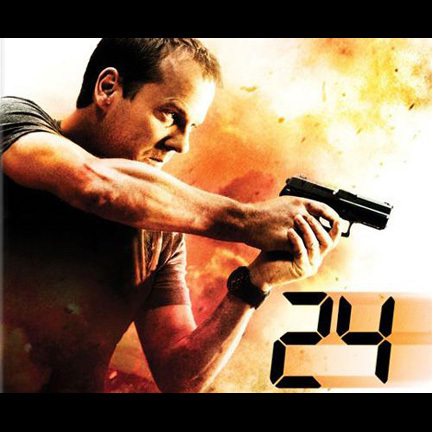 Kiefer Sutherland was nominated 5 times for the Emmy Award in the category of Outstanding Lead Actor in a Drama Series and also received a 2002 Golden Globe award for his portrayal of Jack Bauer.